I made a vintage teacup pincushion this week. I bought some lovely teacups from a charity/thrift shop for a bargain price and used my crafts at home to finish the work. Here is my tutorial. Step 1: Cut out some fabric in a circle shape which is 2 times the size of the rim of the cup. So if the rim of the cup is 7cm then you need a circle with a diameter of 14cm. Step 2: Stitch around the edge of the circle of fabric with a loose stitch so that you can gather it at the end so leave some plenty at the end. Step 3: Place your wadding/stuffing into the circle and pull the thread so that the fabric is full with wadding and that you can secure the end by tying the thread together to close. Step 4: Using your hot glue attach the ball of fabric into the cup making sure it is secure inside. You can also hot glue the cup to the saucer if you wish. 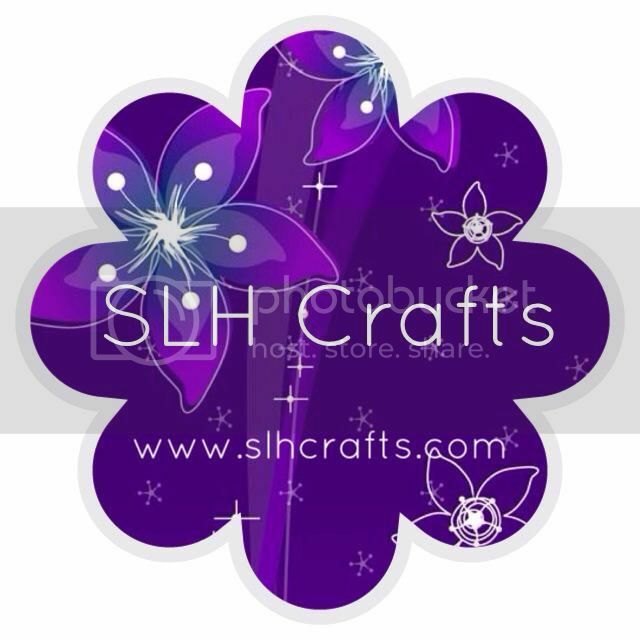 Step 5: Using any craft decorations glue these onto the cup to make it look more pretty. I glued on some flowers and bows. 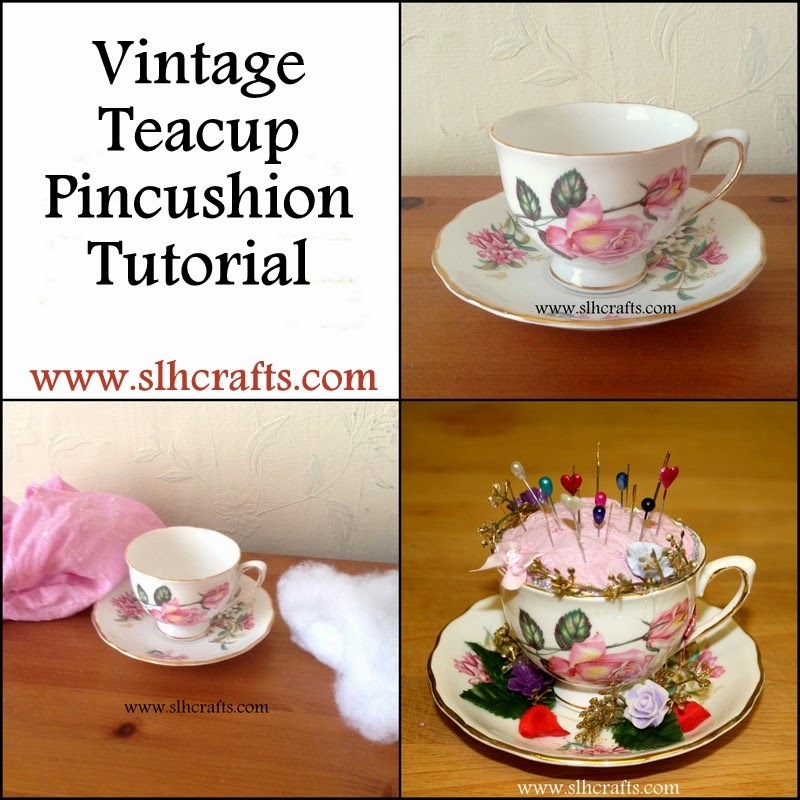 I hope you like this lovely vintage teacup pincushion that I made. It is a great way to upcycle any teacups you have lying around the house. There are many YouTube videos showing this technique if you like following video tutorials, just search for teacup pincushions.